Speed Reading Software Best Reader. About Best Reader. 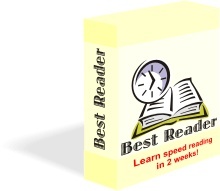 Best Reader is the multilanguage speed reading software for improving reading technique and increasing reading comprehension.